Here’s a quick synopsis. College professor J. Allen Hynek and Air Force Captain Michael Quinn investigate UFO sightings around the country and provide plausible scientific explanations. Not everything can be neatly explained and Hynek suspects there is more going on. I was already familiar with the name J. Allen Hynek from listening to too much Coast to Coast AM. He and his wife Mimi were real people though the rest of the main characters are fictional. The incidents in each episode are loosely based on real events. The end of the fourth episode “Operation Paperclip” is when things really crank up. We see Wernher von Braun and his team of ex-Nazi scientists testing a flying saucer for the U.S. Air Force. The saucer uses an advanced method of travel that presumably has been reverse engineered from alien technology. And von Braun has a preserved corpse of either an alien or a horribly deformed test subject. By the end of the first season we have a government conspiracy, an alien abduction, a (probable) alien corpse, men in black, Russian spies, and of course Nazis. That’s a lot to pack into ten episodes and a reminder that this is the same channel that brought us Ancient Aliens. Overall Project Blue Book just doesn’t really stand out. Visually it’s what you would expect from a cable channel budget. The show often plays out like X-Files episodes set in the 1950s and it suffers in comparison. That said, maybe in the seconds season (yes, the show was renewed) they will pay off on some of the things set up this season. I’m not sure where the show is going with the Russian spy plot though. I don’t remember it being explicitly stated that Ksenia Solo’s character Susie Miller is a Russian spy but it’s pretty obvious that she is (speaking in Russian is a big tip off). 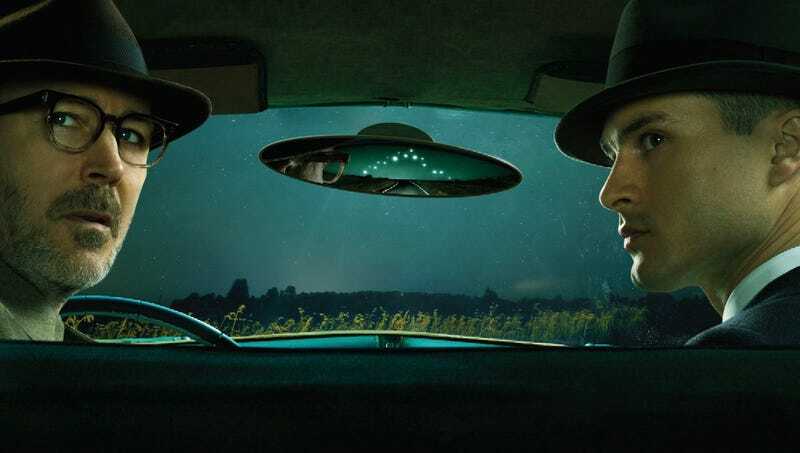 Apparently the Soviet Union is interested Project Blue Book so they are probably interested in the aliens and their technology. That’s fine and makes sense but so far it hasn’t really gone anywhere. If someone actually does a UFO remake Neal McDonough would make a great Ed Straker. I had forgotten how cheesy UFO is.